The Discovery universe has come to consoles. 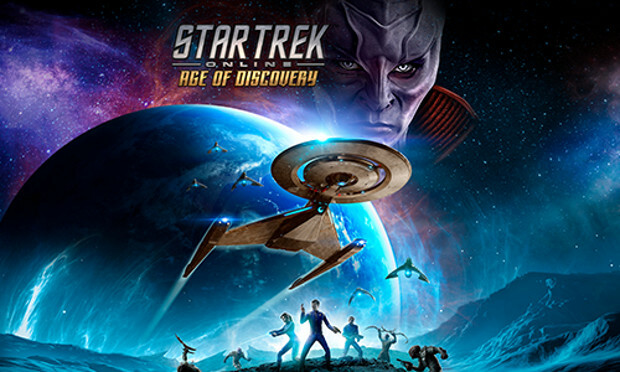 Today, Perfect World Entertainment announced the launch of Star Trek Online‘s Age of Discovery update on both PlayStation 4 and Xbox One. Now, console players can hang out with some of their favorite characters before they became the crew of the Discovery, including Sylvia Tilly. The update takes place in the year 2256, just after the Battle at the Binary Stars and at the beginning of the war between the Federation and the Klingons. It features characters not just from the TV series but also those from the IDW comic series, Star Trek Discovery – The Light of Kahless. Players can download the update today, complete with two new episodes, a new task force operation, and more.